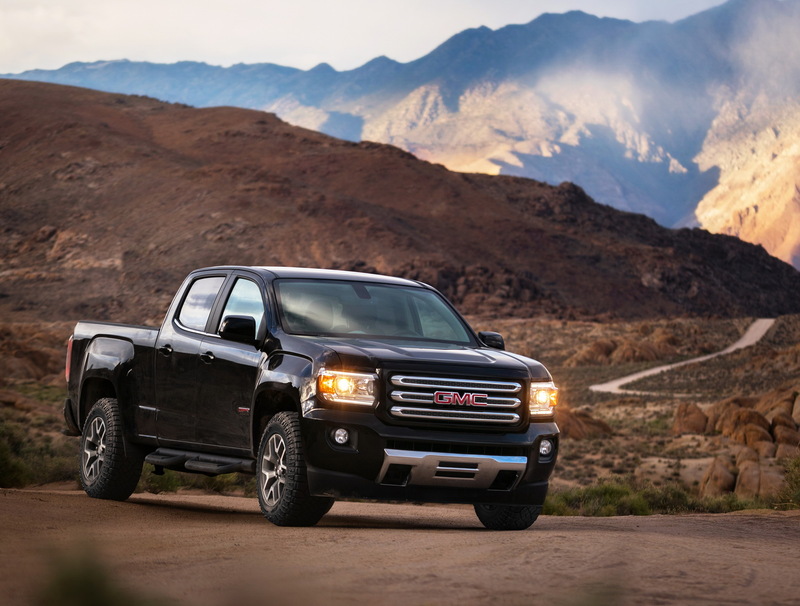 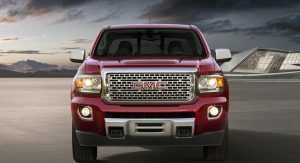 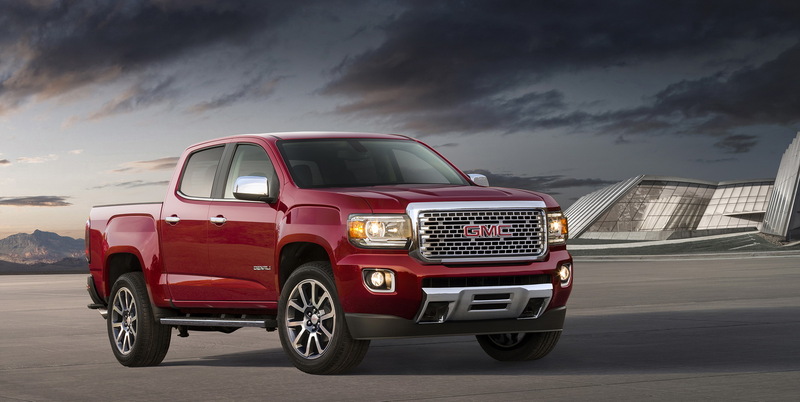 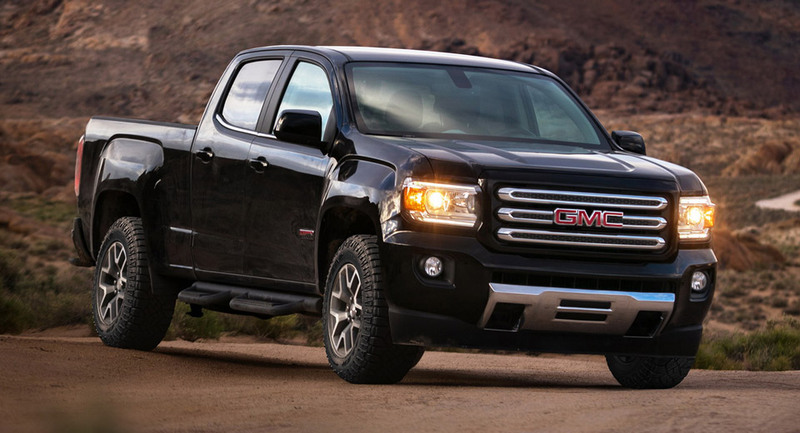 Following in the footsteps of its 2017 Chevrolet Colorado cousin, the GMC Canyon has received the same mechanical updates, including the 3.6-liter V6 powertrain. 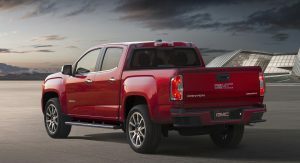 Featuring continuously variable valve timing, direct injection and Active Fuel Management, the 3.6-liter lump is rated at 308 HP and 275 lb-ft (373 Nm) of torque, identical to the Chevy Colorado. 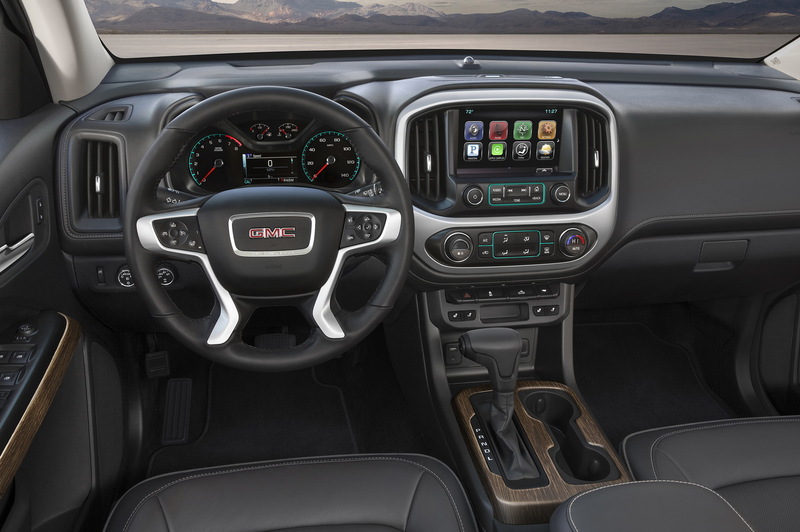 Channeling output to the wheels is GM’s 8-speed automatic gearbox, which replaces the previous six-speed unit and and helps supports a maximum trailer capacity of 7,000 pounds, second only to the Canyon’s 2.8-liter Duramax turbodiesel and its 7,700 pounds. 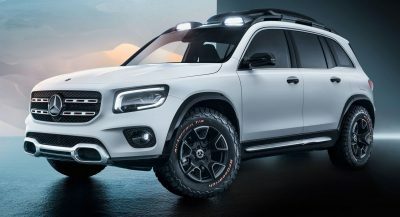 New across the range is the most off-road-capable version of the Canyon yet, the All Terrain X, which is offered on the SLE trim and adds off-road suspension and transfer case shield, hill descent control, 17-inch aluminum wheels wrapped in all-terrain tires and all-weather floor liners. 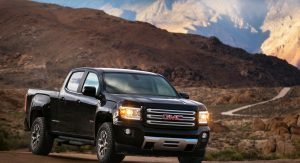 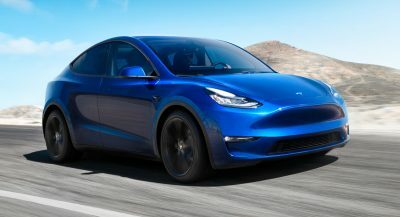 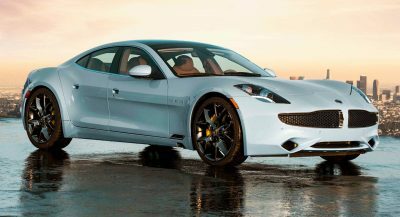 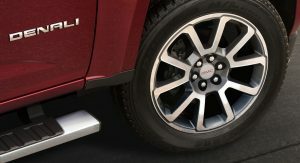 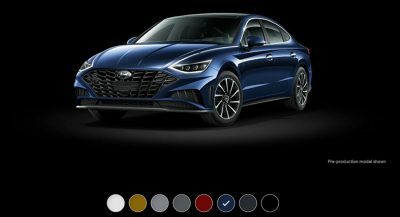 It also benefits from body-color grille surround and rear step bumper, 3-inch diameter round step bars, spray-on bedliner, automatic climate control and sliding rear window, and remote start. 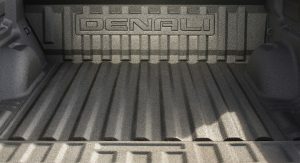 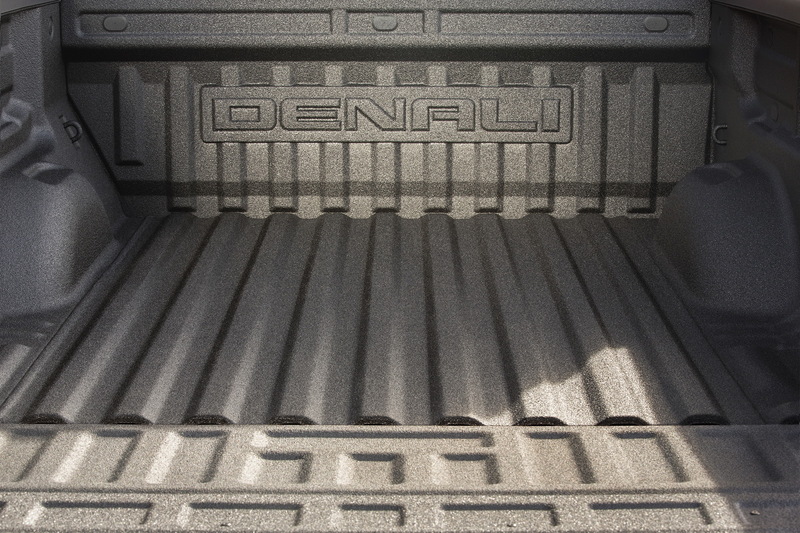 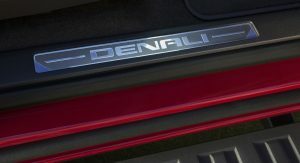 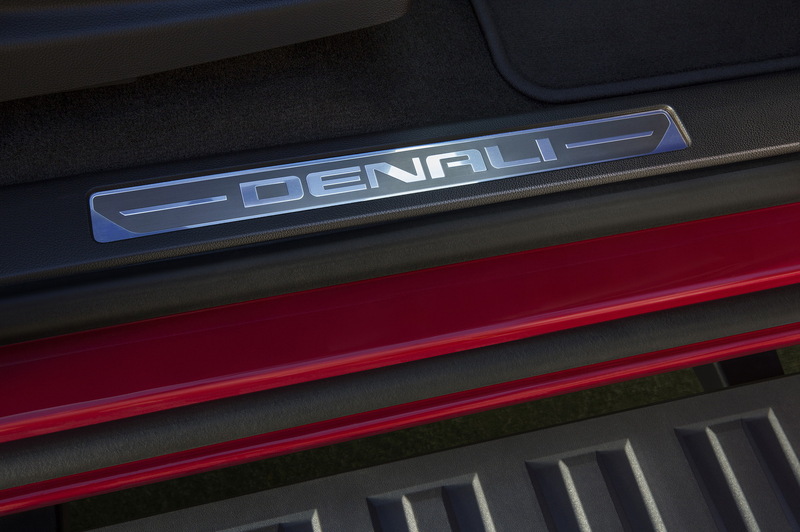 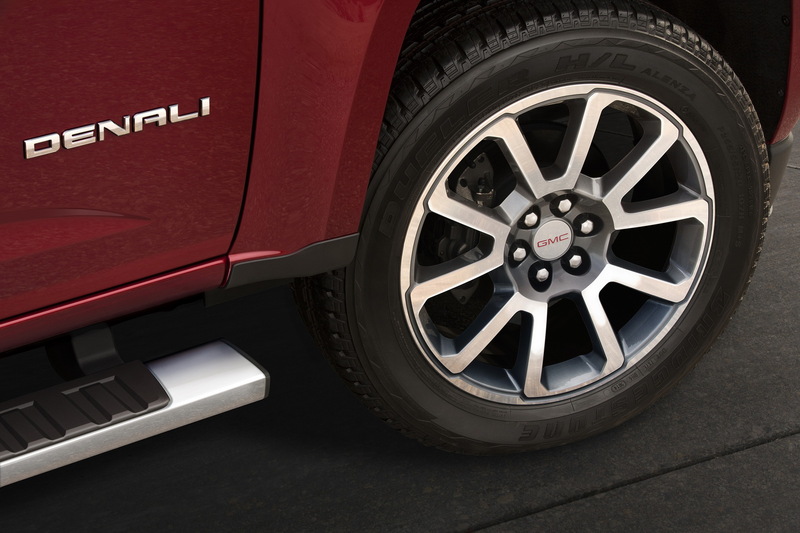 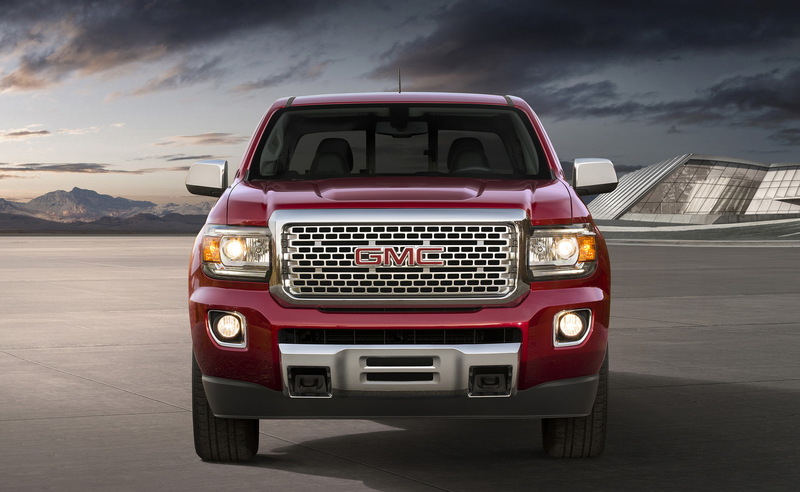 Unveiled in time for last year’s LA Auto Show, the 2017 GMC Canyon Denali features a specific chrome grille, 20-inch tubular chrome assist steps, spray-on bedliner and V6-only polished exhaust tip. 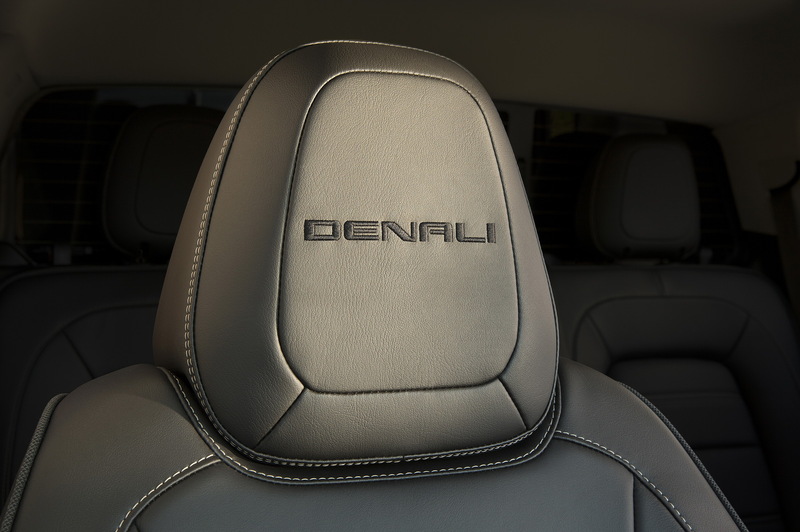 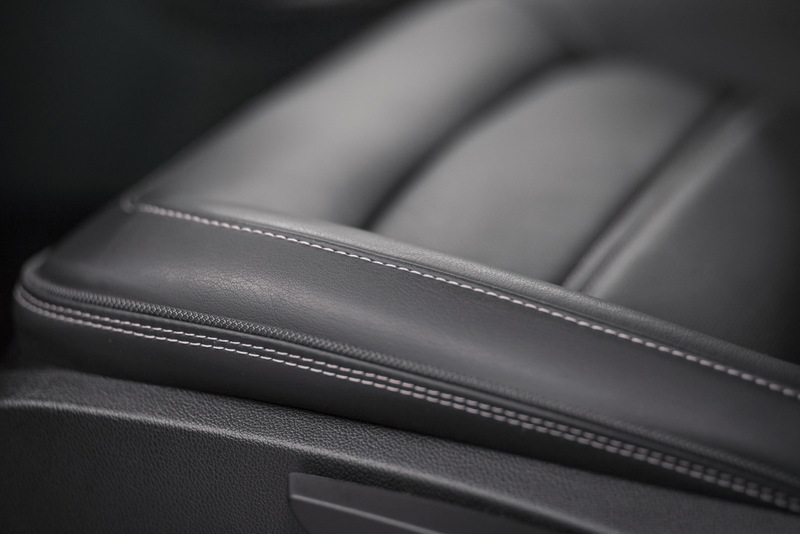 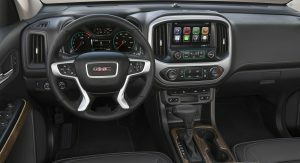 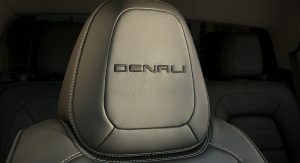 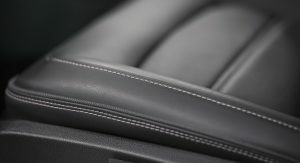 The range-topping model also gets leather-wrapped heated and ventilated front seats, heated steering wheel, Denali-logo sill plates and floor mats, IntelliLink with navi, 8-inch touchscreen, Bose premium sound system, automatic climate control and 4G Wi-Fi hotspot, among others. 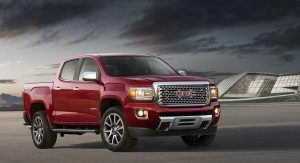 The updated 2017 GMC Canyon will reach dealerships across the nation in the fourth quarter of this year with pricing to be announced.